Vision Aid International provides basic eye care in some of the poorest countries in the world. By providing eye tests and spectacles they can restore the sight and thereby change the lives of thousands of people. Our Club collects unwanted spectacles and donates them to Vision Aid for distribution across the world. We are always on the lookout for supplies of used and now unwanted spectacles and would be grateful for any old and unused spectacles to be given to any Member of the Club. Our Club regularly supports the Falconer Trust which was formed in 1980 by Henry and Irene Webb and its primary aim is to support the work of Lilas Falconer and the Children's home that she started in 1949 in Kabulamema, Northern Rhodesia, now Zambia. The Home is currently run by Simon Samutale who arrived at the home aged just 2 days old and Miriam Mulyata who came when she was seven days old. 1. We provide a microloan to an entrepreneur to start or grow a small business. 2. Thanks to us the entrepreneur works their way out of poverty. 3. As their business expands, the entrepreneur pays back our loan in instalments. 4. As the loans are being paid back we can then provide a microloan to another entrepreneur and change another family's life. By this means the Rotary Club can make further loans before the original loans are paid off. There have been no defaulters. We have loans out to entrepreneurs in seven developing countries covering South America, Africa, Pacific Rim and Asia. The picture shows a typical entrepreneur from Cambodia. 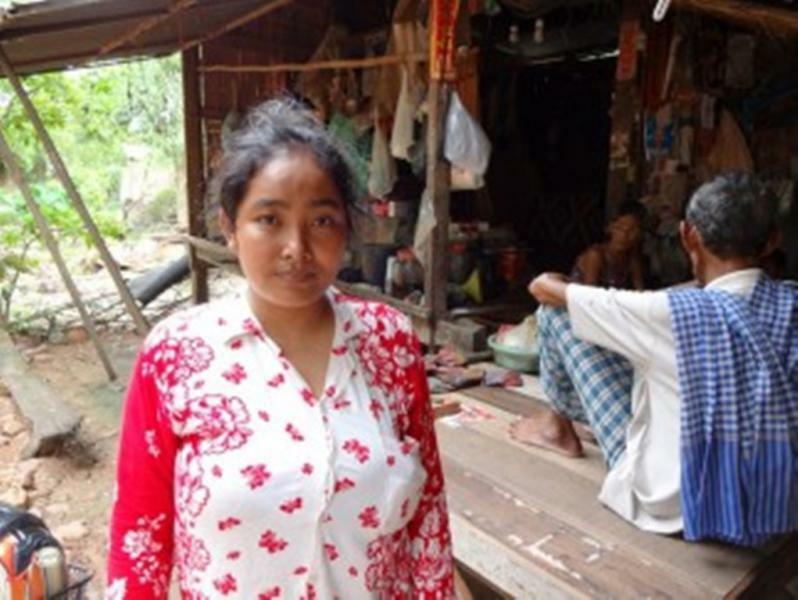 Another example is Sa Oun also from Cambodia, one of our entrepreneurs, who requested a loan for her farming business of £967.45 and we lent her £45.00. The balance was made up by other individuals/organisations. She has 3 children and her business helps pay the school fees and upkeep of her family. Why not have a look at the presentation above and consider joining the thousands of likeminded people who believe that lendwithcare is a valuable and worthwhile project.